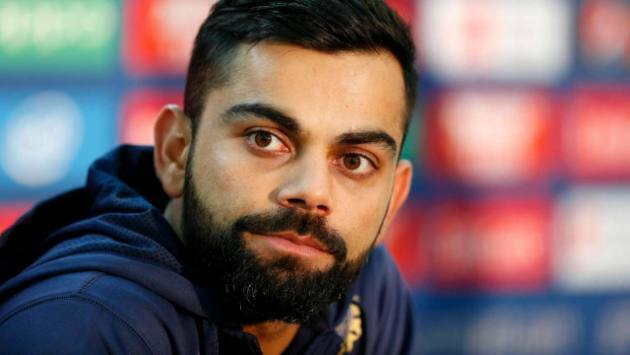 Virat Kohli said that he is "all for freedom of choice" while responding to the backlash he received after asking a user to "live somewhere else" for liking English and Australian batsmen over Indians. Virat Kohli clarifies ‘Leave India’ remark after social media backlash. Indian cricket captain Virat Kohli, who came under fire on Thursday after he suggested a local cricket fan to relocate to another country for preferring to watch English or Australian batsmen, has clarified his remarks saying he is all for freedom of choice. Taking to Twitter, Kohli said, "I guess trolling isn't for me guys, I'll stick to getting trolled! I spoke about how ‘these Indians’ was mentioned in the comment and that’s all. I’m all for freedom of choice". In the video that has gone viral for all the wrong reasons and available on his newly released app, Kohli was reading tweets and Instagram messages before coming across a user, who said the Indian mainstay has nothing special in his batting. Users on Twitter and other social media sites pointed out that Kohli himself has professed his admiration and love for foreign players of different games including calling Herschelle Gibbs his favourite batsman in past and saying that German Tennis player Angelique Kerber is his "officially favourite tennis player."